﻿﻿The Committee intends to propose at the AGM for your consideration that the fees for 2016, 2017 and 2018 be a single payment of £10 payable when renewing or joining at anytime within the period. This would, if agreed, effectively reduce membership to £3.33 per annum for those who are members throughout. 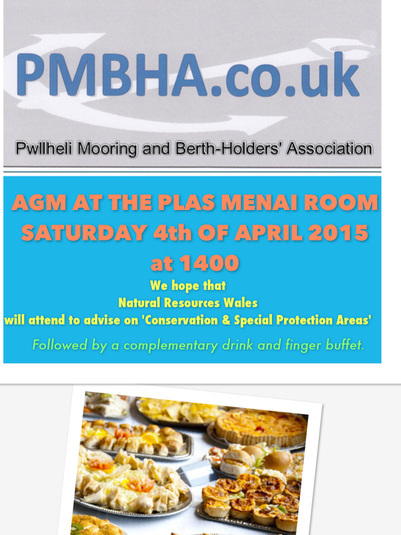 We hope to have a representative from Natural Resources Wales who will give a brief presentation to members and answer questions on the proposed possible marine conservation areas. No representative will be available to attend the AGM.